The Twin Cities JACL and Historic Fort Snelling co-sponsored an artists’ panel titled “Art, Identity and Community” on Sept. 23 at the Historic Fort Snelling Visitors Center in St. Paul, Minn.
Moderated by Kerry Morgan, director of Gallery and Exhibition Programs at the Minneapolis College of Art and Design, four local Minnesota artists shared their personal histories, as well as presented a selection of their past and current projects. 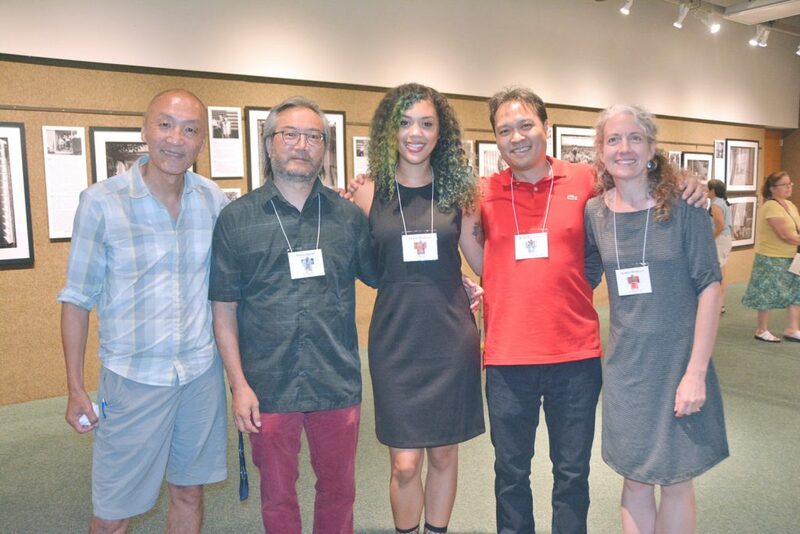 Painter Leslie Barlow and photographers Wing Young Huie, John Matsunaga and Steve Ozone have varied backgrounds, but they engaged the audience by sharing their experiences within their communities, especially in regard to marginalization, invisibility, stereotyping, racism and historical trauma. In addition, each speaker offered insights into how the experiences of the communities to which they belong help shape their identities and influence their artistic work. Les Suzukamo, a former Twin Cities JACL board member, and his wife, Karen, helped to support the exhibit and programs. He acknowledged that the artists’ panel gave him an appreciation of the challenges and rewards of exploring social issues through art. The exhibit viewing is free and open to the public on Saturdays from 10 a.m.-5 p.m. through Oct. 28 at the Historic Fort Snelling Visitors Center located at 200 Tower Ave.
For more information, visit historicfortsnelling.org or call (612) 726-1171.